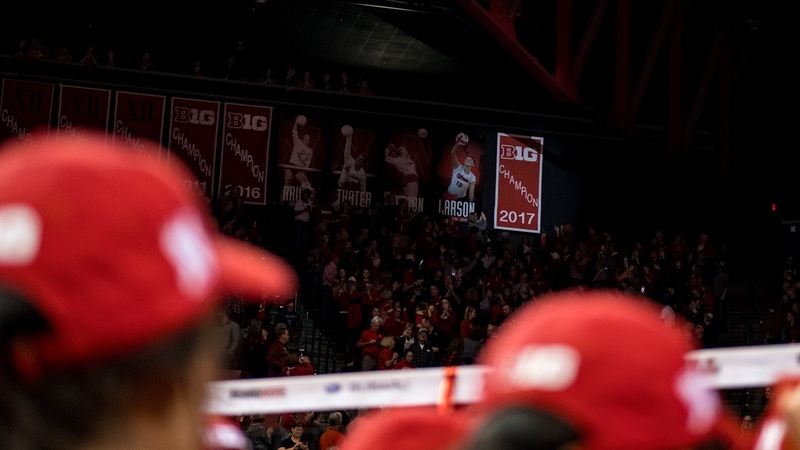 Sarah Pavan is one of the most devastating hitters in Nebraska volleyball history, and on Sunday, the Huskers will raise her jersey to the rafters alongside those of Karen Dahlgren, Lori Endicott, Janet Kruse, Cathy Noth, Allison Weston, Stephanie Thater and Nancy Metcalf. Nebraska will retire Pavan’s jersey during the Huskers game against Iowa State. Pavan is also a part of an historic class being inducted into the Nebraska Athletics Hall of Fame on Friday night. She’ going into the hall with Tom Osborne, Bob Devaney, Peaches James, Darin Erstad, Mike Rozier and Tom Schlesinger. A look at Pavan’s bio on Huskers.com shows a list of accomplishments so long that it doesn’t fit on the screen all at once. First of all, Pavan holds Nebraska’s career record for most kills (2,008) and kills per set (4.56) and the single-season record for kills per game (5.10 in 2006). She was a four-time first-team AVCA All-American, a two-time Volleyball Magazine National Player of the Year, a three-time Big 12 Player of the Year and four-time All-Big 12 first teamer, the 2006-07 Big 12 Female Athlete of the Year, the 2006 AVCA National Player of the Year, the 2004 AVCA National Freshman of the Year, a four-time AVCA All-Central Region member and 2004 Central Region Freshman of the Year, the 2004 Big 12 Freshman of the Year, the 2006 NCAA Championship Most Outstanding Player, a two-time NCAA Championship All-Tournament team member, a four-time NCAA Regional All-Tournament Team performer and numerous regular season tourney plaudits, national and conference weekly honors and academic awards. Pavan was certainly a surgeon on the court. During her four years in Lincoln, the Huskers went 126-7, a ridiculous 94.7 winning percentage. As a 6-foot-5 right side hitter, Pavan had the physical tools to be great, but it was her intangibles that made her a hall-of-famer in Cook’s mind. Nebraska match against Iowa State is set for 1 pm. at the Devaney Center on Sunday.